In World War II fighting could be confusing, as you might imagine. 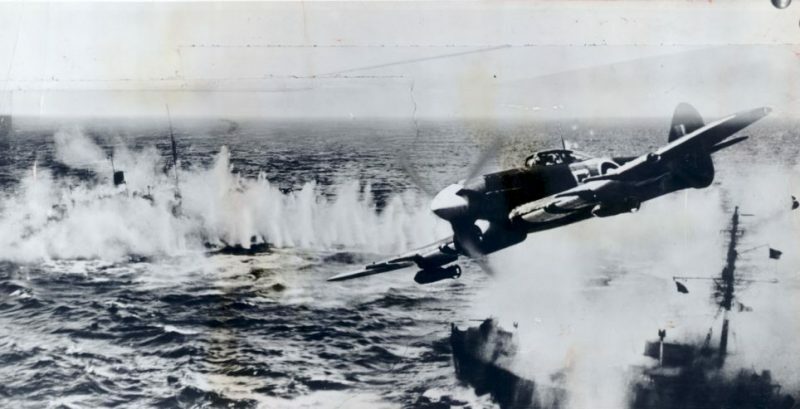 It might be difficult to decide if a plane, tank or ship was a friend or an enemy. After all, the movement was very fast in battle, and there could be a lot going on. So friendly troops might be shot by accident. This was especially a problem with warplanes, which moved very fast indeed and were hard to identify when they were a distance away. 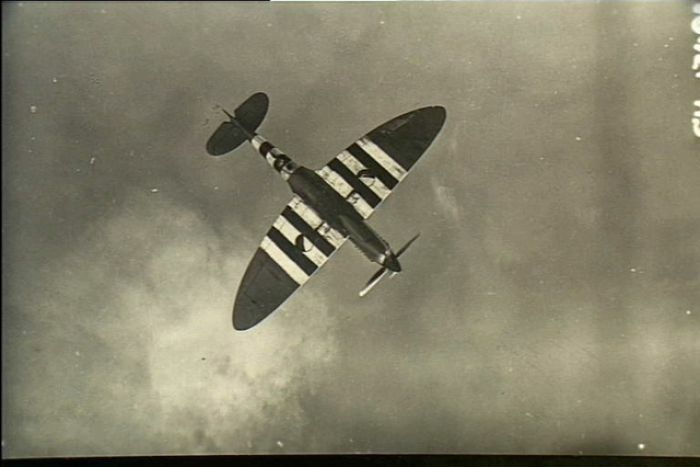 The Allies tried to solve the problem by painting the wings and fuselages of fighters, bombers and other aircraft with two large black and three white bands. 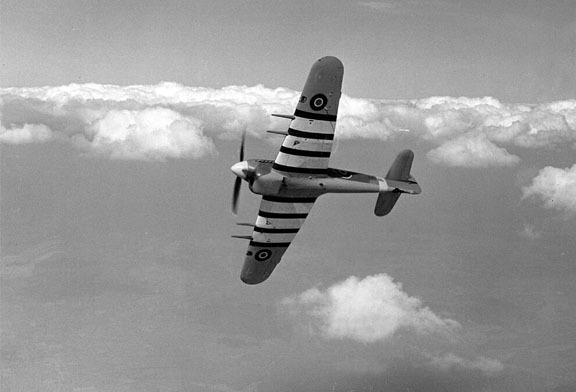 These alternating stripes were first used on aircraft, and then troop carriers as well, for the Normandy Landings in 1944. 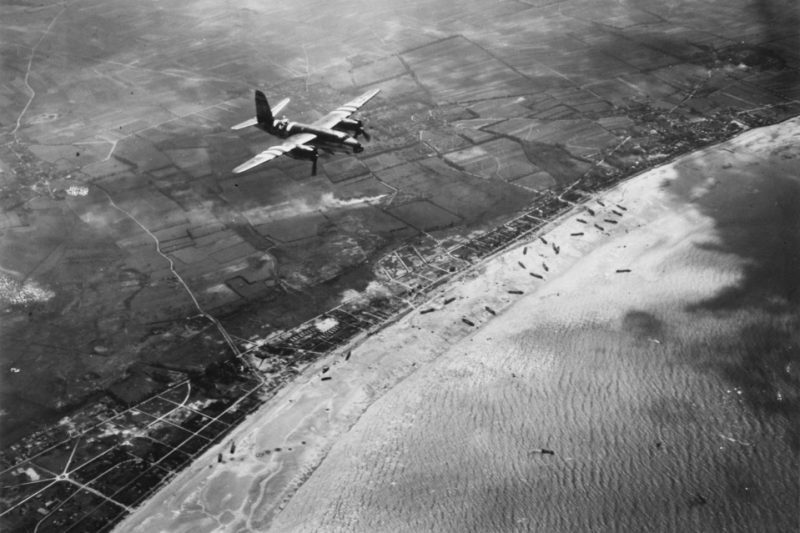 They had been approved by Chief Marshall Sir Trafford Leigh-Mallory, commander of the Allied Expeditionary Air Force, on 17th May 1944, after it was decided that the identification system then used would fail for the invasion of Normandy, owing to the huge numbers of planes involved. 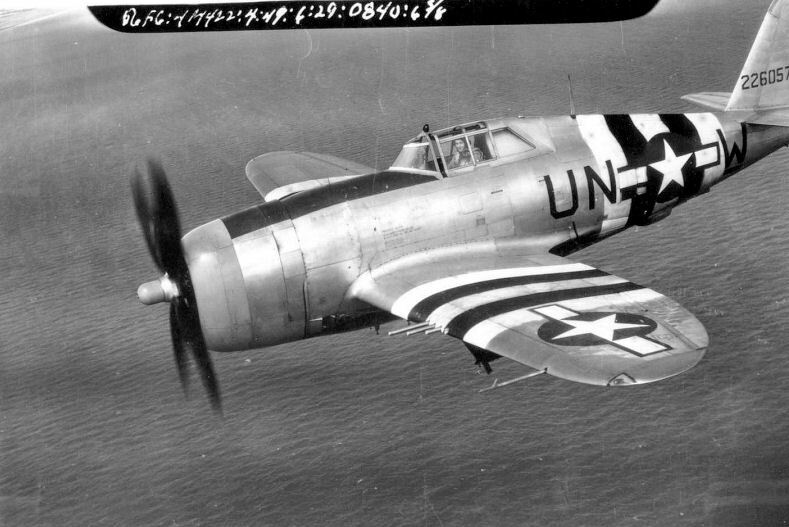 A small test was done on June 1, 1944, when planes were flown over the Allied invasion fleet on its way to Normandy. 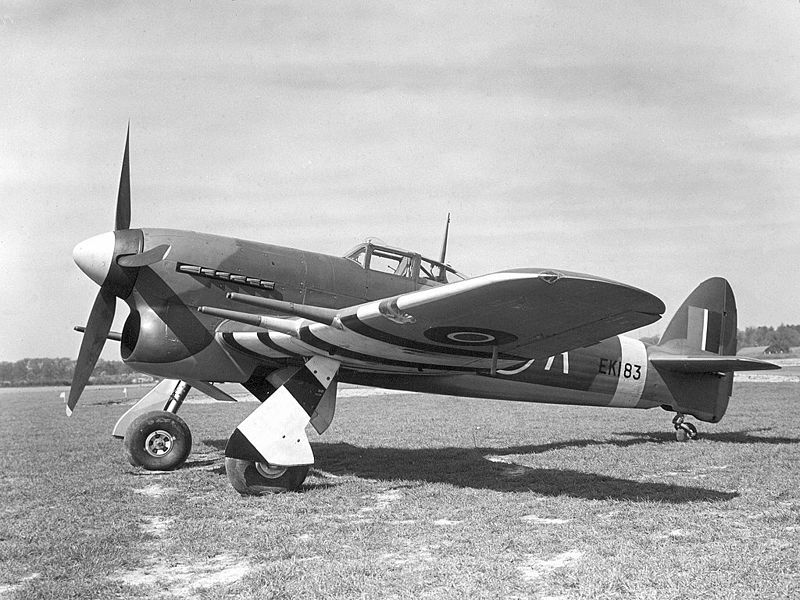 The markings have come to be known as Invasion Stripes. 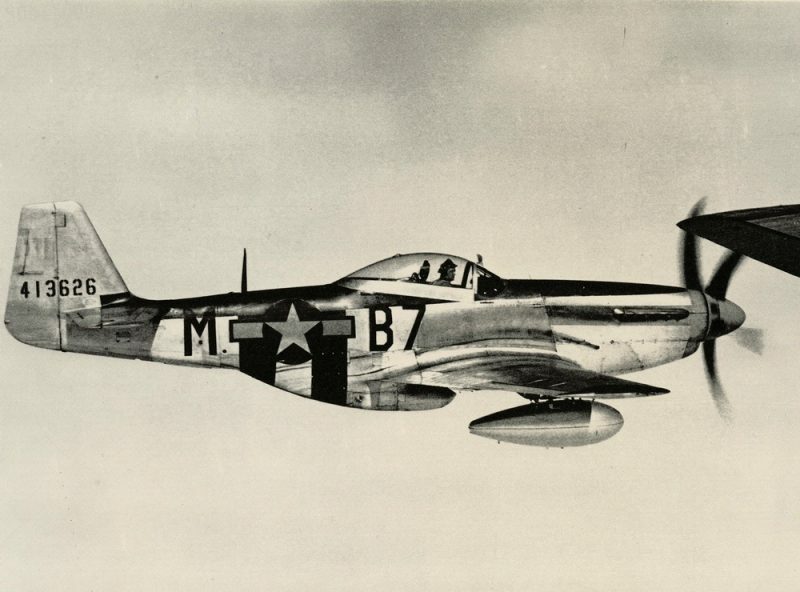 The markings were applied to all aircraft, except the four-engined heavy bombers of the FAF Bomber Command, and the U.S. Eighth Air Force. 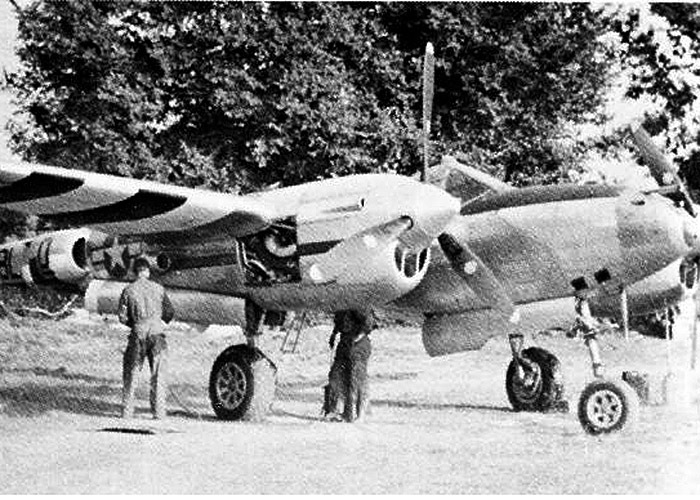 They were so different to anything the Germans had that there was little chance of mistaking them for enemy aircraft. 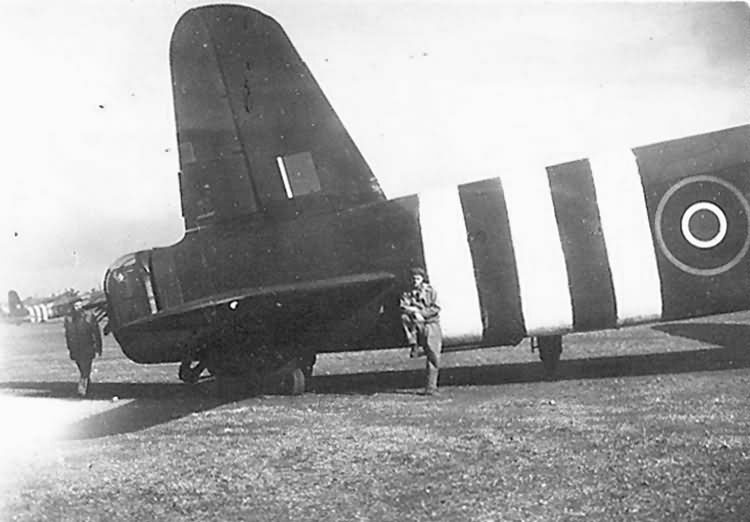 The stripes were painted on troop carriers as well. 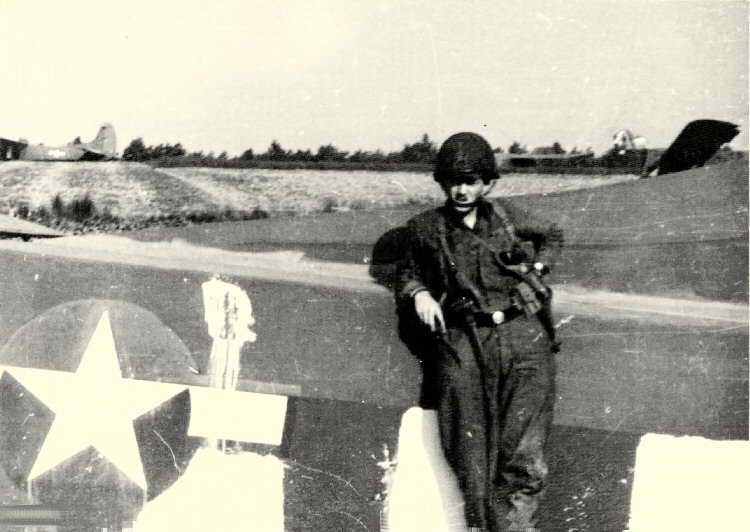 A month after the Normandy Landings the stripes were removed from the tops of airplanes. Now that the invasion was over, the stripes would make the easy targets for the enemy. 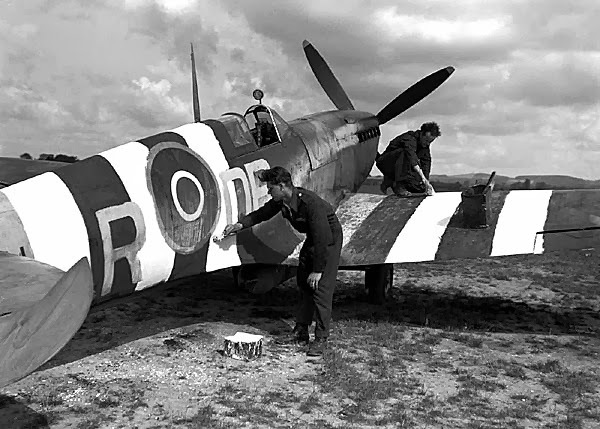 By the end of 1944 all markings, wherever they were on the planes, were taken off.